These Knaresborough serviced offices are set in an attractive landscaped setting, ideally situated close to all major transport links. Tenant companies are provided with a comprehensive portfolio of business support services. The serviced offices are ideal for technology-focused companies with accommodation arranged over two floors, ranging from 120 sq ft 5,500 sq ft. The serviced offices are located on Manse Lane, approximately 1 mile east of Knaresborough town centre on the main York road (A59). The accommodation is easily accessible from the A1(M), Junction 47 via the A59, with Harrogate three miles south-west, York 18 miles east and Leeds 25 miles due south. The nearest main line railway stations are York and Leeds; both with regular connections to Kings Cross. Both stations also have frequent connections to Harrogate and Knaresborough. The nearest airport is Leeds Bradford International Airport which is 20 minutes drive from the GSPK Technology Park. 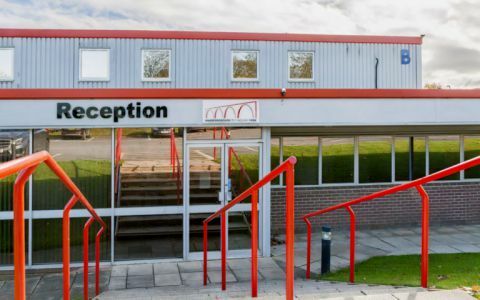 These offices in Manse Lane offer a range of prices depending upon your exact requirements. Contact us now and we will help find the best price for you, based on your individual needs. A new, modern business centre in the heart of Harrogate. High speed internet, onsite parking, fully furnished, air conditioned meeting rooms, cafe styled breakout area, shower room, and more.